Michael, and Chad, as well as the whole Music Sharing staff. 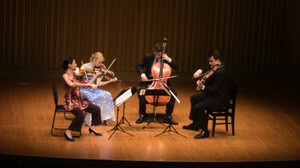 the wonderful audiences we played for. reactions no matter how small. that is possible for those less mobile residents. Today was unlike any other day I've ever had. 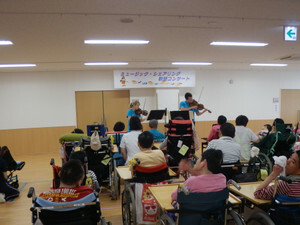 We visited Yonezawa Hospital and played for some of the disabled residents. Their lives are so difficult- I've never encountered such profound physical struggles. 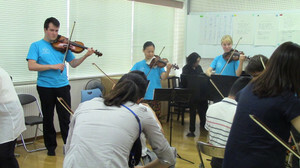 And yet, they were totally engaged in our music. It was wonderful to experience. 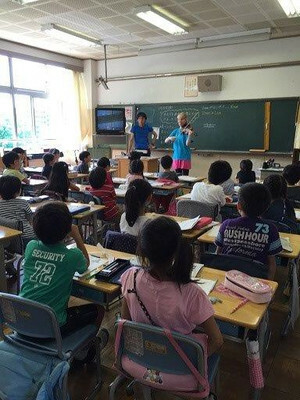 We played for a large group of residents and then they performed for us- they have been learning the Midori song on handbells!! It was impressive and inspiring. 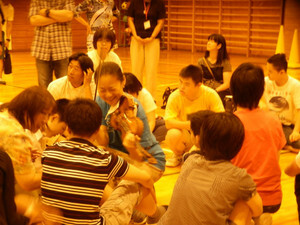 Finally we went around and played in some of the individual rooms. 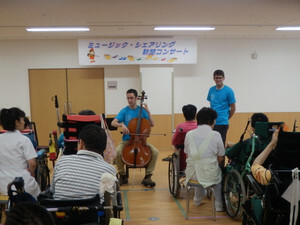 It was very meaningful to be able to reach people who otherwise wouldn't hear music, and it was also important to meet their families and their caretakers. The families and nurses do such important work- it is humbling and astonishing to see the amount of love and care that surrounds this hospital. Amazing. It was a privilege to be with them. We finished with delicious Yonezawa beef yakiniku- and Midori came too! Lots of fun. 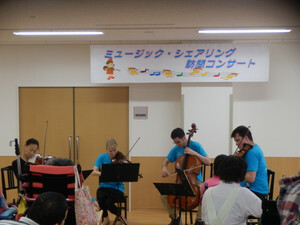 Our second to last day included only one visiting concert, but it was not an easy one. 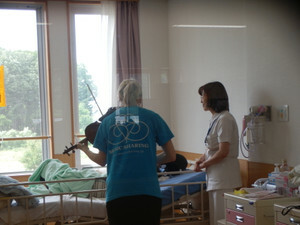 We visited the Yonezawa Hospital where we gave a quartet performance as well as individual room visits. Most of the patients we met were in a wheelchair or had to stay in bed. They suffered from a variety of deformities caused by illness. 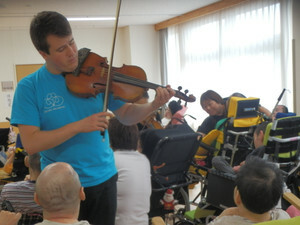 It was difficult to see people suffering this way, but at the same time encouraging to see how moved they were by the music. Many of the patients moved differently and/or smiled once the music started. 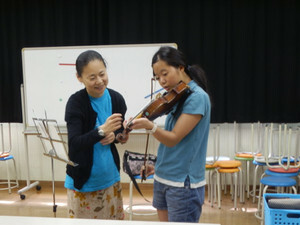 A particularly touching moment was when several patients performed the Midori song for us with handbells. 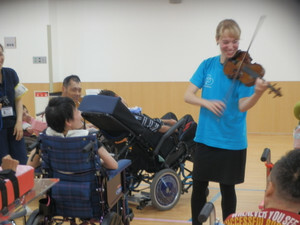 Like all other ICEP visits, this visit reminded us the everybody needs music and everybody deserves access to music. they sounded just great, and everyone was so focused. around the balconies all the way up in order to see Midori. But that was just the end of the day! perceptive questions, and they also sang a beautiful song for us. are approaching the end! But, still a few more days to go. 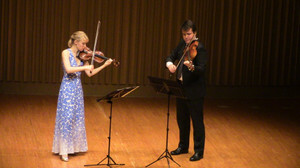 It was a wonderful experience to return to Oji Hall tonight. hall to make music in. a picture of the composer's home and idea of a happy life. feelings he had in reaction to a stroke. 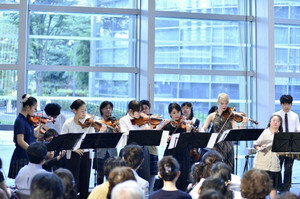 considered for this wonderful tour of concerts in Japan. the loss of a close sibling.